BlackCleopatra: Hair ENVY! Dear God, please give me hair like Demelsa!! Hair ENVY! Dear God, please give me hair like Demelsa!! I am suffering from a serious case of HAIR ENVY! I am washing, co washing, moisturising and sealing... but honestly, I don't think any of this will ever get me hair like my latest hair crush... All that's left to do is to fast and pray! Introducing you to the gooooorgeous Demelsa Watson and THAT HAIR!!!!! Our Father...who art in heaven... lol! I found Demelsa on Instagram (my second home) and going by the countless other comments on her Instagram uploads, I was certainly not the only one to be struck with 'wow'!... Like a 3 year old I remember pouting and thinking, 'It's not fair!' How come some people are just blessed with tresses and some of us... This girl literally has my dream hair! 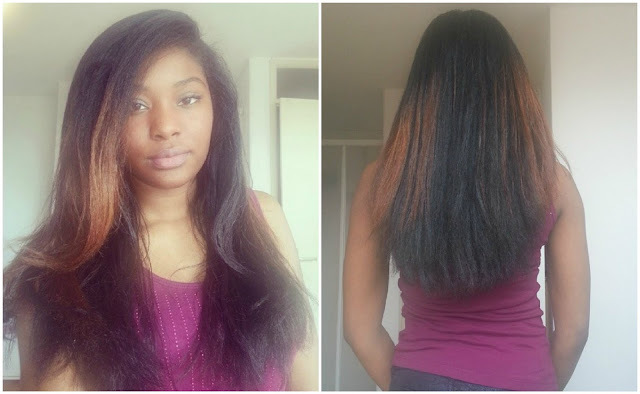 Beautiful, big, thick, long, healthy natural, afro textured hair. 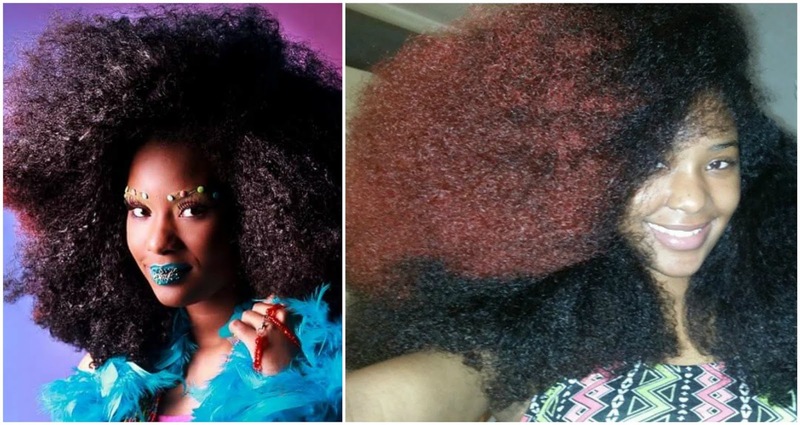 I am not trying to convince anyone to go natural, but truthfully people, if your natural hair looked/could look like this, would you EVER do anything but adore it. Weave whaaaaat? Lol! You know I am nosey, and so I just had to ask Demelsa about her hair and what her regime was like (share the secret girl! ), and obviously share the hair love with y'aaaall :) Not only was Demelsa genuinely obliging, she was ever so sweet... Lurve her! Thank you Demelsa! Anthonia: Hi Demelsa, could you just give me a bit of background about you please? Demelsa: My name is Demelsa Watson, I'm 21 years old (almost 22). I was born in Surinam and I live in the Netherlands right now. I've been living here for the past 14 years. I'm currently in my last year of school, I study tourism. Anthonia: You have gorgeous hair! 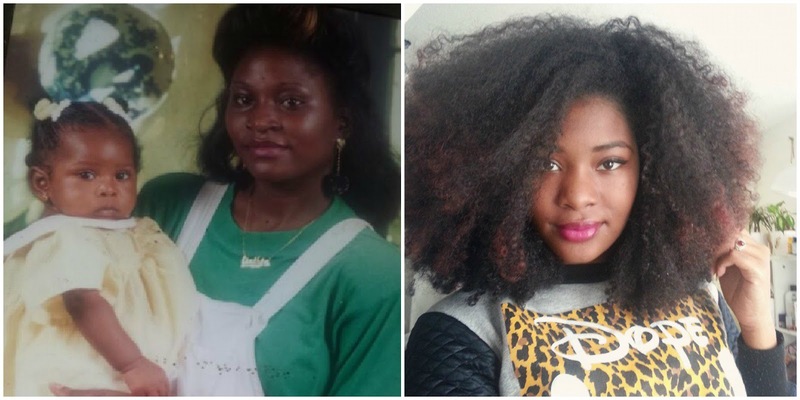 How long have you been natural and what prompted you to go natural if you haven't always been? This baby doesn't have much hair!!! Who knew?!! Demelsa: I've been natural my entire life, my mum never allowed me to relax my hair. So I started straightening it superrr often instead [laughs]. Anthonia: How do you care for your hair? Do you have a regime? Demelsa: I don't have a set regime. I try to (co)wash every 10 days or so. after washing I moisturise with the LOC method and moisturize with water and olive oil during the week when needed. I Always sleep with a satin bonnet or scarf. I only comb my hair when wet and with conditioner in it. I try to avoid heat as much as possible and I oil my scalp regularly. Anthonia: Do you have a favourite hair product? Demelsa: At the moment I really like the ORS Hairrepair Invigorating shampoo and the ORS Monoi Oil leave in. I also loooooove my extra virgin olive oil! Anthonia: Do you ever feel like relaxing your hair and why? Demelsa: No, I never feel like relaxing my hair any more because I've grown to love my natural hair so much. I feel like if I want it straight, a flat iron will do just fine. Anthonia: Generally speaking what type of reaction do you tend to receive towards your hair? Demelsa: I mostly get very positive reactions from all over. People are usually impressed with the size (and sometimes length) of my hair. I have a lot of hair [laughs]. Anthonia: As a young black woman living in Europe where the standard of beauty is predominantly the Caucasian aesthetic (white), where you do you get your confidence from? Demelsa: I get my confidence from the people around me. My mum for example always told me I was beautiful and so is my hair. I think that has played a big part in accepting myself as I am. And now there are a lot of pages on social media that show the beauty and diversity of the black woman and their natural hair which also contributed to my confidence. Anthonia: Thank you so much Demelsa... I really appreciate you taking the time out to take part in this interview. I think that we all know that our hair types are different and so I could literally pray to Kingdom come and my hair would never look like this... I know..lol!! I just wanted to share Demelsa and her hair with you in order to appreciate this stunning looking woman. Demelsa you are beautiful! Hey... but if anyone reading knows how, could you please make me a Demelsa Wig...kiddin'...lol! If you would like to follow Demelsa on Instagram, you can find her using the tag: @demelsaaw.